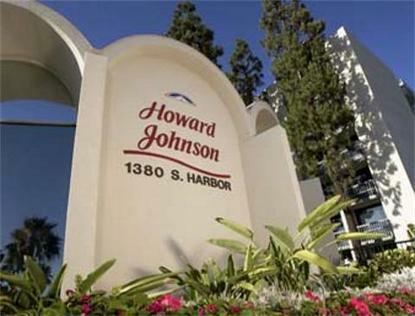 The Howard Johnson Plaza Hotel is located on Harbor Blvd right across the street from the Disneyland Resort. This beautifully landscaped family resort on seven private acres is just an eight minute walk away from the main gates of Disneyland, and we have 2, 3, 4 & 5 Day Park Hopper Passes available for purchase at the Front Desk. _____________________________________________ When you are not enjoying the Parks, you and your family can choose between the relaxing Garden Pool or the brand new Castaway Cove, a watery pirate playground that offers something for everyone in your family. There is a toddler pool with beach style entry and Speedys Sprayground, featuring Speedy the friendly turtle and 13 computerized water fountains, perfect for young children. The 30 foot pirate ship boasts a cargo net climb, two slides, water cannons, and a 300 gallon drench bucket that soaks anyone nearby every six minutes. The hot tub is the perfect way to unwind and watch the kids playing at Castaway Cove. Best of all, Castaway Cove offers guests a front row seat from which to view the Disneyland fireworks. _____________________________________________ HOTEL POLICIES- A valid credit card and ID must be presented at your time of check-in. No third party billing is accepted. Rollaway beds are available for rooms with at least two beds at a cost of $7 per night + tax. Cribs are available for rooms with at least two beds at no cost. As a smoke-free facility, all guest rooms, balconies and walkways are non-smoking. A fine of $250.00 US will be charged to those who are found to be smoking anywhere but the designated smoking area. _____________________________________________ Visit hojoanaheim.com for more details, discussion boards, trip planning advice, updates & Disneyland ticket pricing.